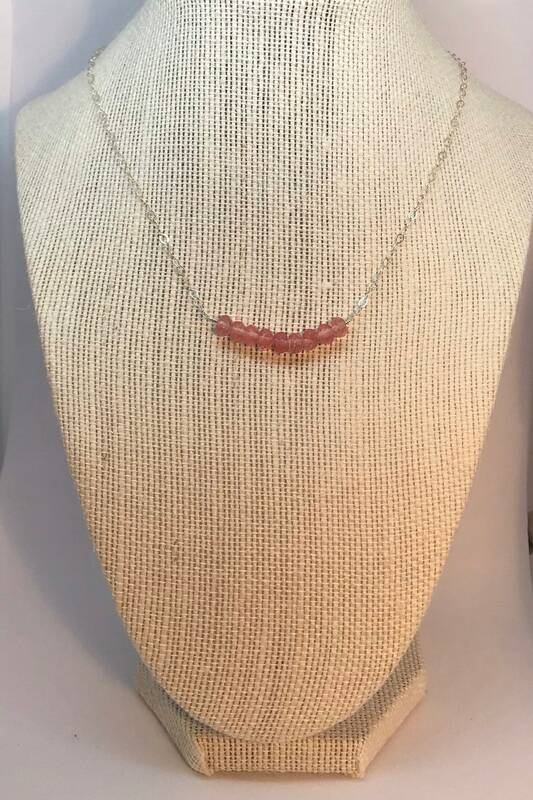 This choker necklace was handcrafted with 4x6mm Pink Cherry Quartz faceted rondelle beads and sterling silver cable chain. The necklace measures 17 inches long with a 2 inch extender chain. The matching earrings are also created with sterling silver findings.